White blood cell count or simply WBC count measures the number of white blood cells in the blood. White blood cells or leukocytes help fight infections. These cells attack and destroy the virus, bacteria or other organisms causing an infection. White blood cells are fewer in number, but they are relatively bigger than red blood cells. You may have a high white blood cell count if you have a bacterial infection. It's, therefore, quite common for physicians to ask for a white blood cell count to see how the body is dealing with cancer treatment. Why Is High White Blood Cell Count A Concern? It's natural to see an increase in the white blood cells when the body's fighting with an infection, but too much of white blood cells may require further investigation. A very high white blood cell count indicates an underlying health condition. A normal white blood cell count is between 4,500 and 10,000 cells per micro-liter. If no disease is present, your white blood cell count will be 1% of the total blood in your body. There are five types of white blood cells, including lymphocytes, neutrophils, eosinophils, monocytes and the basophils. The change in the count of different types of white blood cells indicates different types of diseases. For instance, a high neutrophils count might mean a common infection, a cancer or physical stress, whereas very high lymphocytes count would indicate AIDS. A bacterial infection is usually present when your eosinophils and monocytes count is higher than usual. High white blood cell may also indicate inflammation, tissue damage, trauma, allergy, chronic leukemia, chronic bone marrow disease, intense exercise, diverticular disease, and severe emotional/physical stress. When there is an increase in the number of viruses or bacteria caused by an infection, your immune system takes charge and triggers the bone marrow to produce more white blood cells to fight against the disease. Inflammation caused by infections may also increase high blood cell count. Chronic obstructive pulmonary disease (COPD) usually means that you have some type of a lung or airway disease such as chronic bronchitis or emphysema that restricts airflow. Smoking is one big factor causing COPD. People who smoke usually have inflammation in the lungs, and this inflammation leads to elevated white blood cell count. A bone marrow disorder like leukemia can be a cause of elevated white blood cell count. 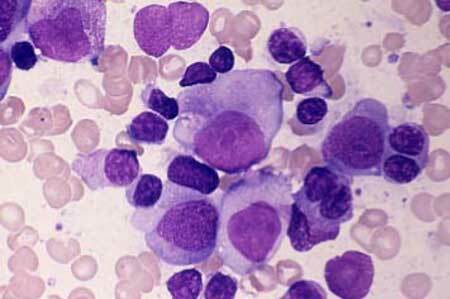 Leukemia is essentially a type of cancer where your bone marrow starts producing too many abnormal white blood cells. These white blood cells are usually non-functional and increase the risk of infections. Graves' or Crohn's disease and some other auto-immune disorders can increase your white blood cell count. Your doctor will keep a close eye on your white blood cell count if you have one of these conditions. Physical or emotional stress, including stress caused by anxiety and overexertion, can push your white blood cell count up a bit. The count gets back to normal once the stress is gone. It is worth mentioning that newborns and infants usually have higher white blood cell counts. Moreover, the white blood cell count is usually lower in the morning and increases gradually as the day commences. Scientists are still looking for evidence to confirm if consistent high white blood cell count can trigger a serious disease. Whatever the case, just be sure to pay heed to your doctor's advice and know your white blood cell count for better and sooner prognosis. Vitamin C. Eating Vitamin C will help regulate the levels of white blood cells in your body. Fruits like lemons, oranges, and lime are rich in vitamin C, and so are papayas, berries, guavas, and pineapples. You can also get vitamin C from vegetables such as cauliflower, broccoli, carrots, and bell peppers. Antioxidants. Antioxidants are chemicals that neutralize harmful molecules called free radicals. These free radicals can damage protein, cells, and DNA, but antioxidants can eliminate them, which is why they are also called "free radical scavengers". You may consider adding leeks, onions, garlic, tea, grapes, and other fruits and veggies to your diet to provide your body with antioxidants that support a healthy immune system. Omega-3 Fatty Acids. Your body cannot make these essential fatty acids, so you have to get them through food. It improves cardiovascular health and elevates the activity of phagocytes, a specific type of white blood cells that fight off foreign bacteria. This polyunsaturated fat is available in fatty fish like herring, trout, and salmon, as well as in flaxseed and walnuts. Avoid foods rich in sugar, fat and salt, and replace with any food that lowers inflammation to reduce white blood cell count, like grapes, garlic, spices, nuts, soy protein, vinegar, and black and green teas.